The best thing about using this already marinated pork is that it has been swimming in that marinade for a good chunk of time. That means the cooked product is completely full of all of the delicious flavors of the marinade. When I’m grilling, I like to use a meat thermometer to make sure everything turns out just perfect. Here’s the one that I use in both my kitchen oven and my outside grill: MeasuPro Instant Read Digital Cooking Thermometer. I don’t think it really says that you can specifically use it for the grill, but I do… and I’ve never had any problems with it. It’s seriously a life-saver! 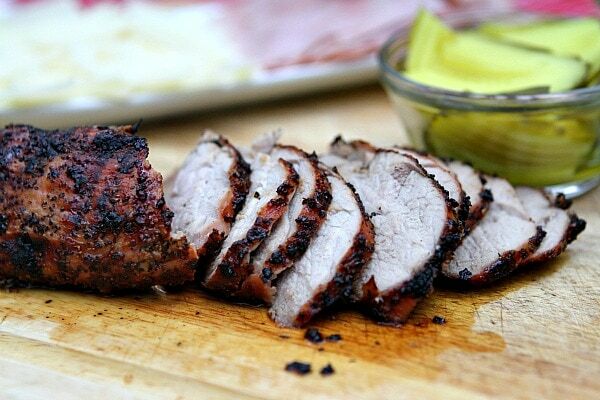 Look how beautiful that pork tenderloin turned out! 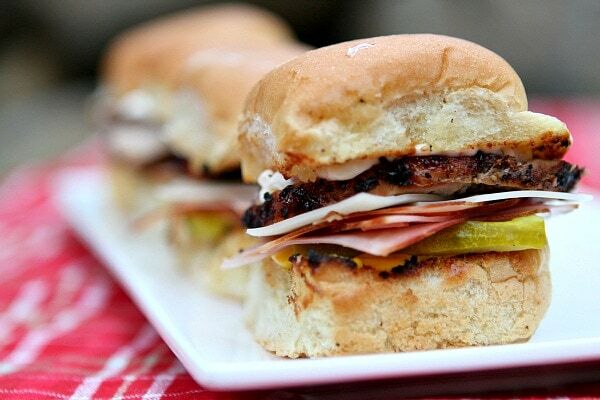 You can set up a lovely Father’s Day spread for these Cubano Sliders- I offered up the grilled pork, Swiss cheese, ham, dill pickle, mustard, mayonnaise and toasted rolls… self-serve style. My whole family enjoyed these with ALL the available fixings. They were out-of-this-world delicious. 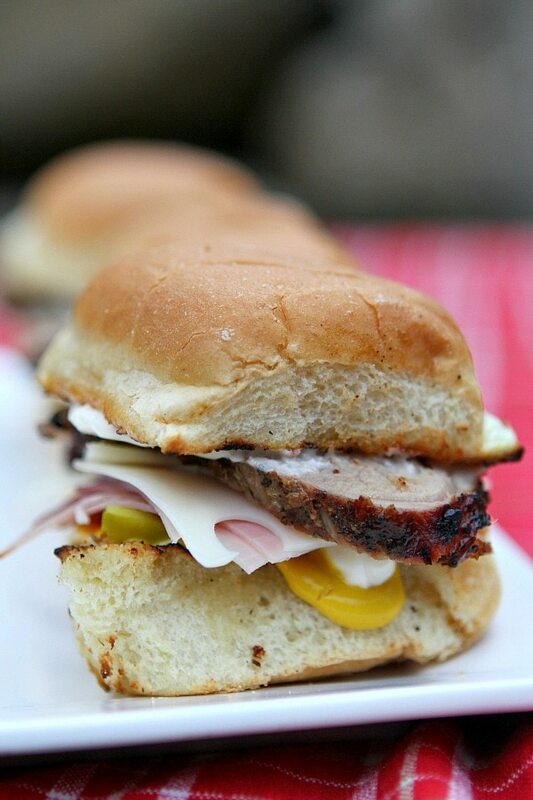 Although we devoured them last weekend, my husband has already asked me to hunt down that Smithfield pork and make these again for our Father’s Day barbecue. I shall do so! 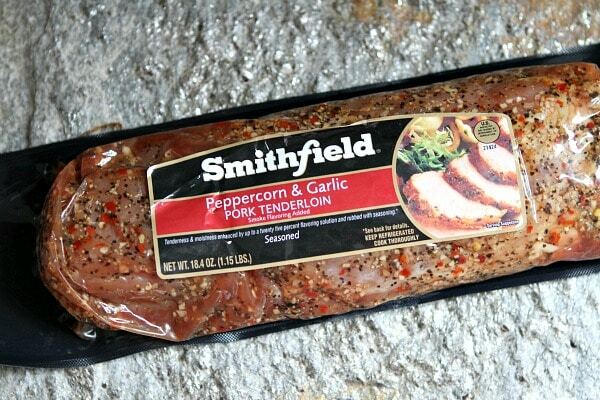 Grill the pork according to the package instructions. 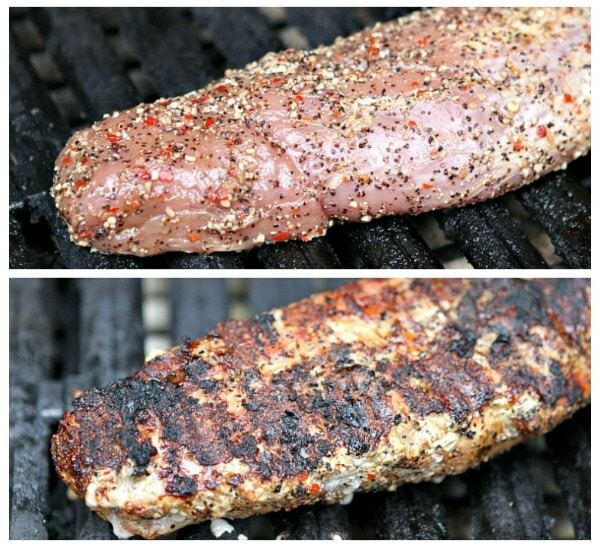 Keep the grill moderately heated, and turn the tenderloin often to avoid burning. If you'd like to toast the buns, lightly butter them and place them butter-side-down on the grill until lightly toasted. 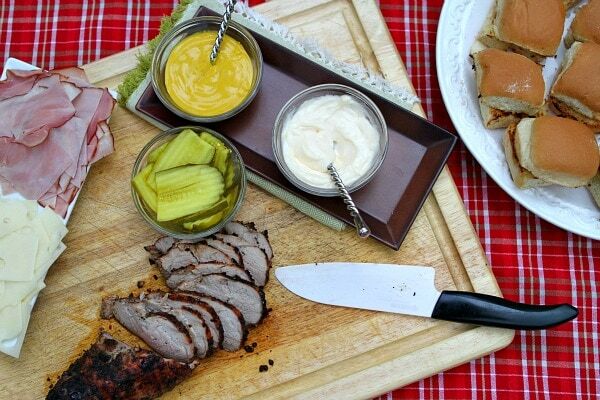 When the pork is done (145 degrees), remove it from the grill and let it rest on a cutting board for a few minutes. 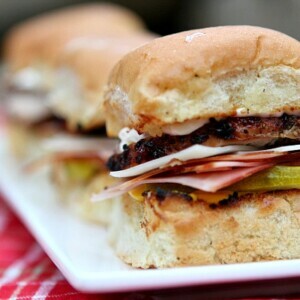 Slice the pork thinly and let people assemble their own sliders.